Milos Raonic celebrates after he beat fellow Canadian Vasek Pospisil in the men\'s singles final match at the Citi Open tennis tournament in Washington on Sunday. Raonic won 6-1, 6-4. 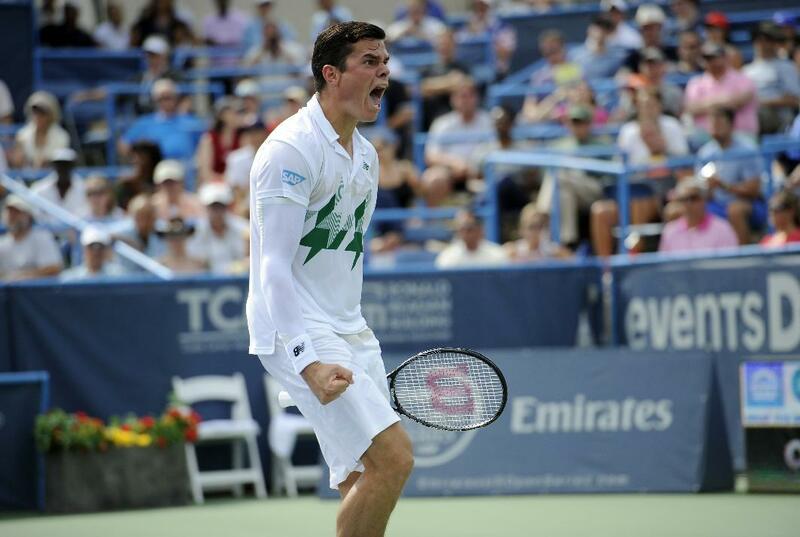 Milos Raonic won the first all-Canadian final of the professional era when he beat Vasek Pospisil 6-1 6-4 in the final of the Citi Open in Washington on Sunday. Raonic, 23, playing his first event since making the Wimbledon semi-finals, is projected to rise from seventh to sixth in the ATP rankings. "I couldn't have imagined starting that well," Raonic told ESPN. "It's tough after a few weeks away. I couldn't have asked for a better way to lead into probably my most enjoyable part of the year." Pospisil, who won a tough three-set semi-final against Frenchman Richard Gasquet on Saturday night, was flat at the start of the final. "He came out so strong. He really caught me off guard," said the 13th seed, who is still seeking his first ATP title. "I wasn't 100 percent but nobody's 100 percent at this stage. Everybody's dealing with something. I didn't sleep much last night. "I don't think it would have made much difference to be honest, especially that first set." Raonic's lethal weapon was his dominating serve. He dropped only two points on first serve, one in each set. The second set was closer as Pospisil's serve improved.